German Bone Marrow Dumplings are called Markklöβchen in Germany. You can use them in a broth or in a homemade Beef Soup. Soak your bread roll in lukewarm water. 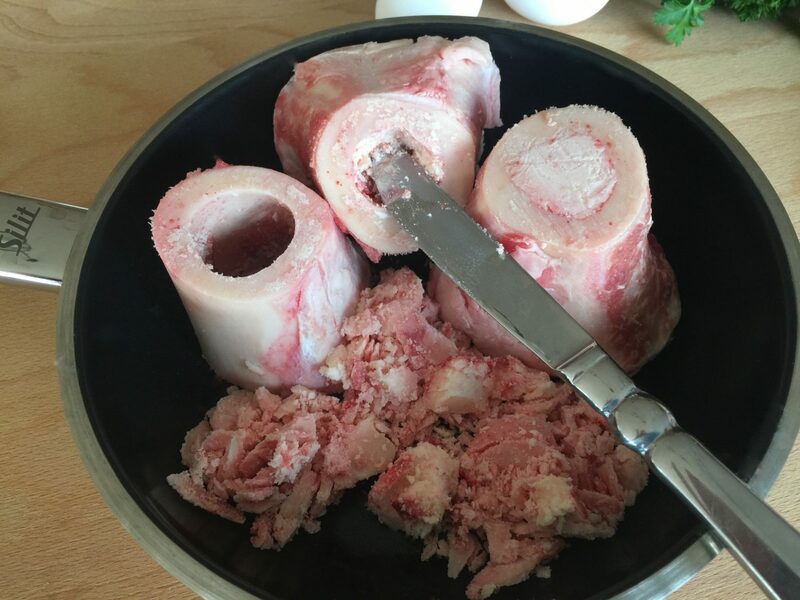 Use a knife to scratch out the marrow from the bone and place it in a frying pan. On medium heat, let the marrow slowly melt in the pan. 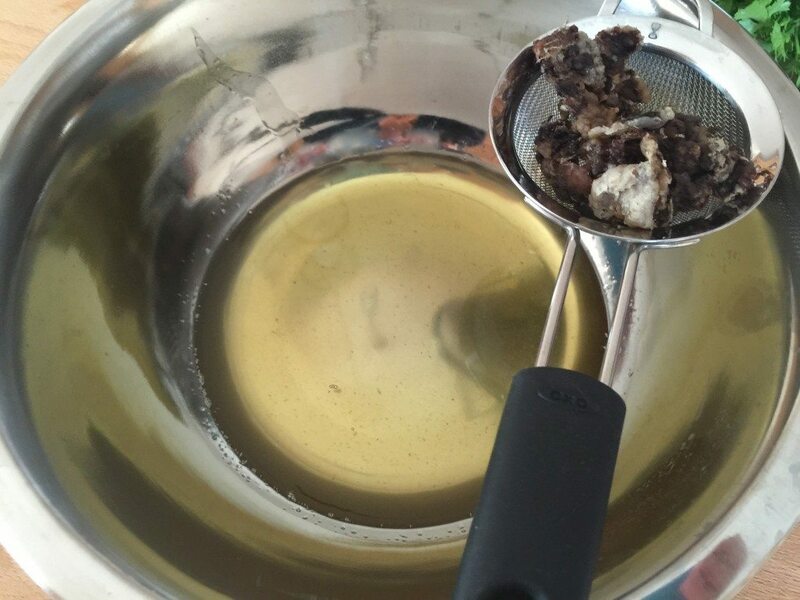 After the marrow has melted and only skin is left, pass it through a meshed metal sieve into a metal or glass bowl. Let it cool down. Add the seasoning and egg and mix with a whisk. Wring the water out of the roll and spread the roll over your marrow. Add the flour, bread crumbs, and parsley (parsley is a personal preference, feel free to omit ) to the mixture and work all ingredients together, until you have a dough. Let it rest for a while. 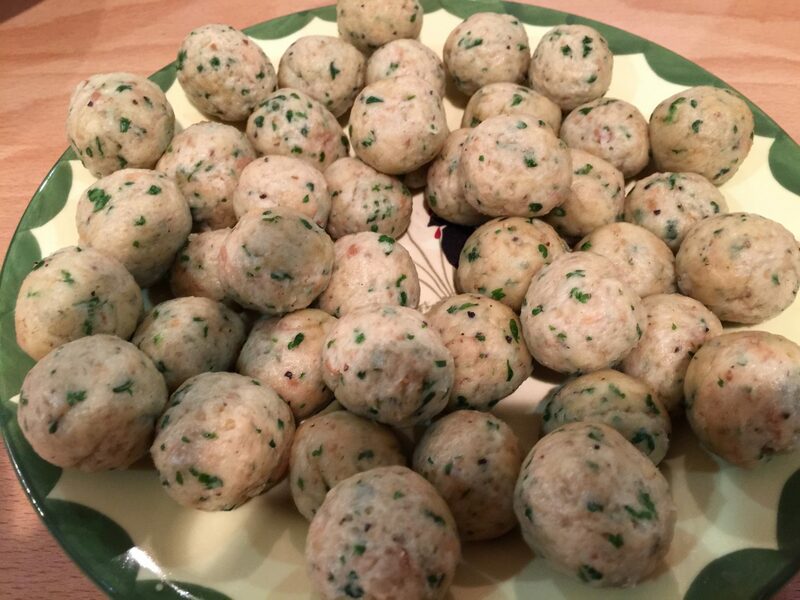 Using a teaspoon, measure equal amounts of dough and form dough into dumpling balls using your hands. 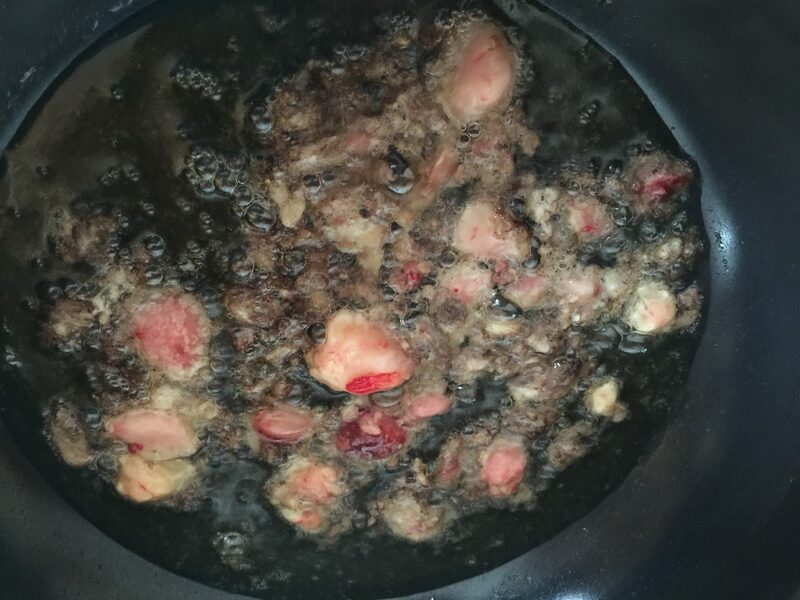 Add the dumplings to my beef soup (click here for recipe). Bring the soup to a boil and add in the dumplings. 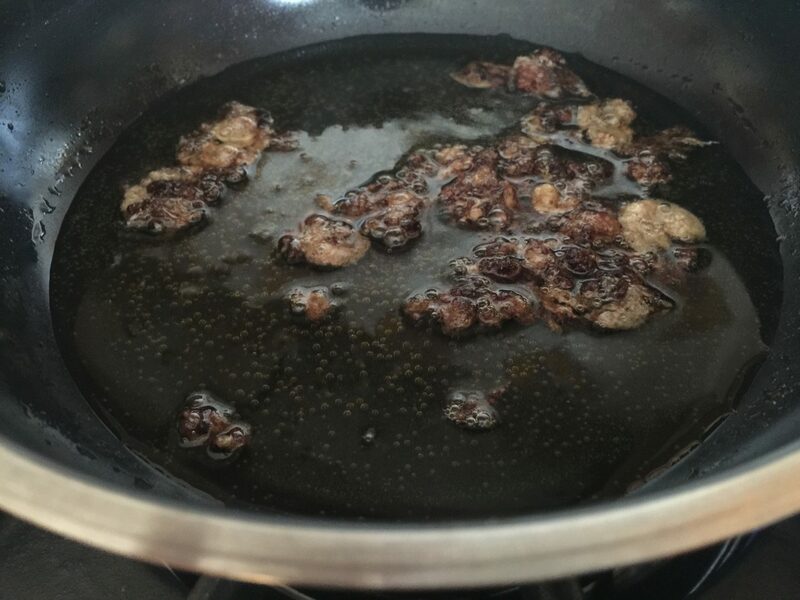 Turn the heat back and let the Markklöβchen (dumplings) simmer for about 10 minutes or until they come up and float on the surface. Your soup with the Bone Marrow Dumplings is ready. 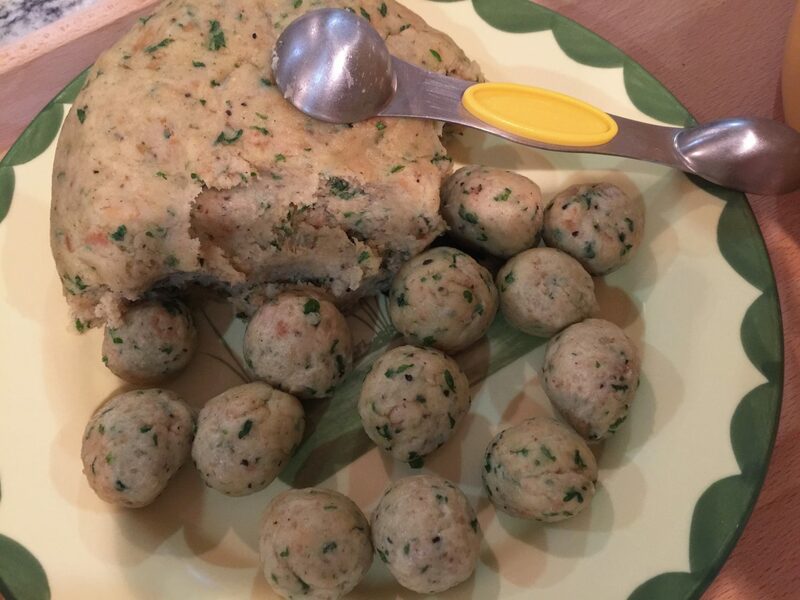 To try the Liver Dumplings Recipe click here, the Traditional German Semolina Dumplings click here, and the German Pancake Soup click here.